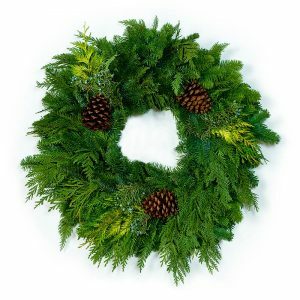 We offer the freshest in Pacific Northwest native species Wreaths, and Specialty Evergreens. 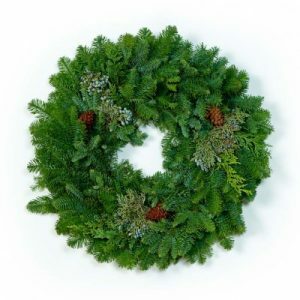 This family owned and operated business has provides handcrafted Wreaths and Evergreens for over 65 years, and this means we have great experience that can work for you. 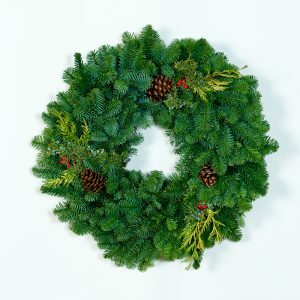 We strive to produce only the highest quality wreaths and evergreen gifts. Our family and knowledgeable staff are committed to helping you manage details with personal service. 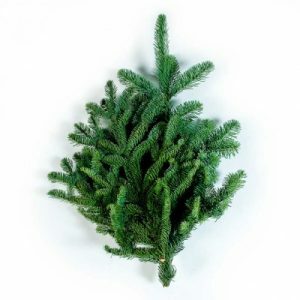 Alpine Farms will continue to be able to meet your needs for wreaths, garlands Corporate gifts and fundraising, however we have retired the Christmas tree portion of the business. 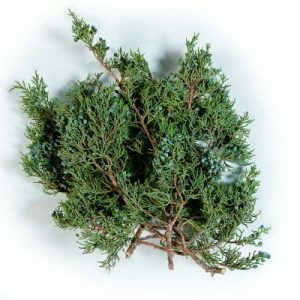 We use only the fullest, freshest boughs with natural tips from Pacific Northwest native Noble Fir to handcraft our traditional yet elegant Christmas Wreaths and Evergreens. 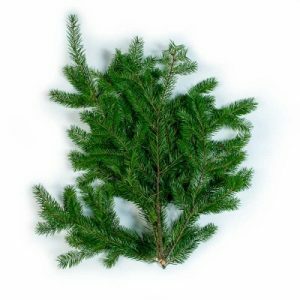 Noble Fir are known for their fragrant, long lasting, silvery blue needles. 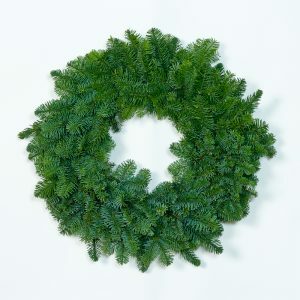 It is not unusual to see a Noble Fir wreath still adorning a front door with style through the Holidays and into Spring! 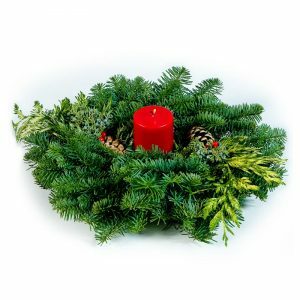 To provide maximum keepability, faux red berries are used so that the important contrast of the red accent point does not fade before the rest of the wreath. 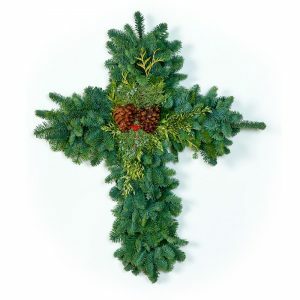 All of our Wreaths and Evergreens are constructed on sturdy wire frames, and due to the nature of handmade articles, appearances will differ slightly. 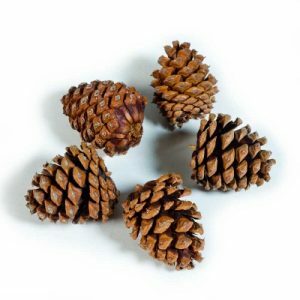 The fresh boughs we use are harvested high in the mountains from old growth Noble Fir trees, and no trees are cut down in the process. 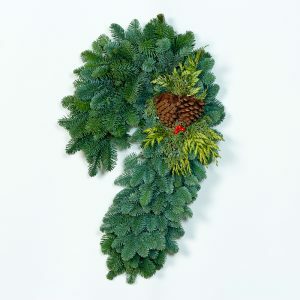 Most of our Wreaths and Evergreen items are adorned with three accent points – each featuring the striking and vibrant contrast of true blue Juniper Berries, accented by bright red faux berries, with a large Ponderosa Pine Cone nested on a Cedar Spray. 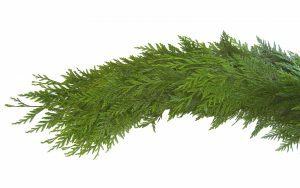 Our elegant Western Red Cedar Garlands (Thuja plicata) measure 15′, 25′ or 75′ in length and are handcrafted with a strong rope center and freshly harvested green Cedar boughs. 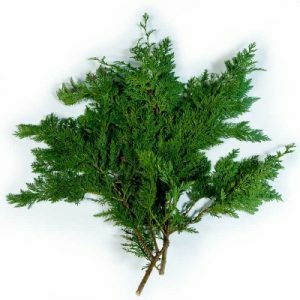 The Western Red Cedar is a Pacific Northwest native, ensuring a healthy and long lasting product. 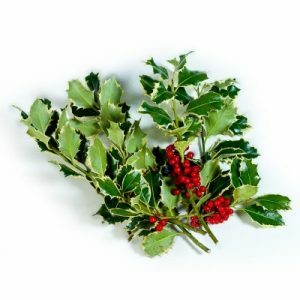 The aromatic fragrance and genuine class of these garlands add volumes of holiday cheer to any Christmas celebration. 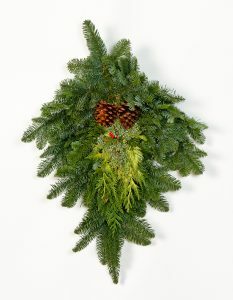 Mixed Cedar and Douglas fir garland also available. 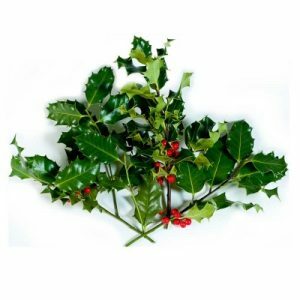 Noble fir garland and special orders available upon request, please allow extra time.